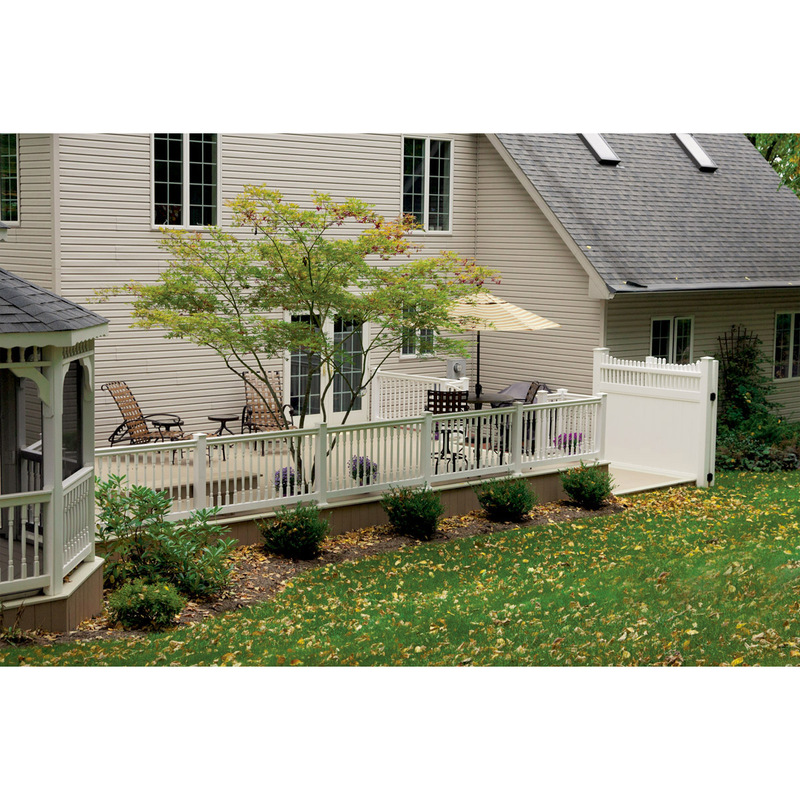 Superior 3000 Series Vinyl Railing - Sections | Hoover Fence Co.
Boxed Railing Sections include the Newport Top Rail and 2x4 Bottom Rail with Aluminum Channels, Pickets, and Mounting Brackets with Stainless Steel Screws. Posts, Gates, and Accessories sold separately. 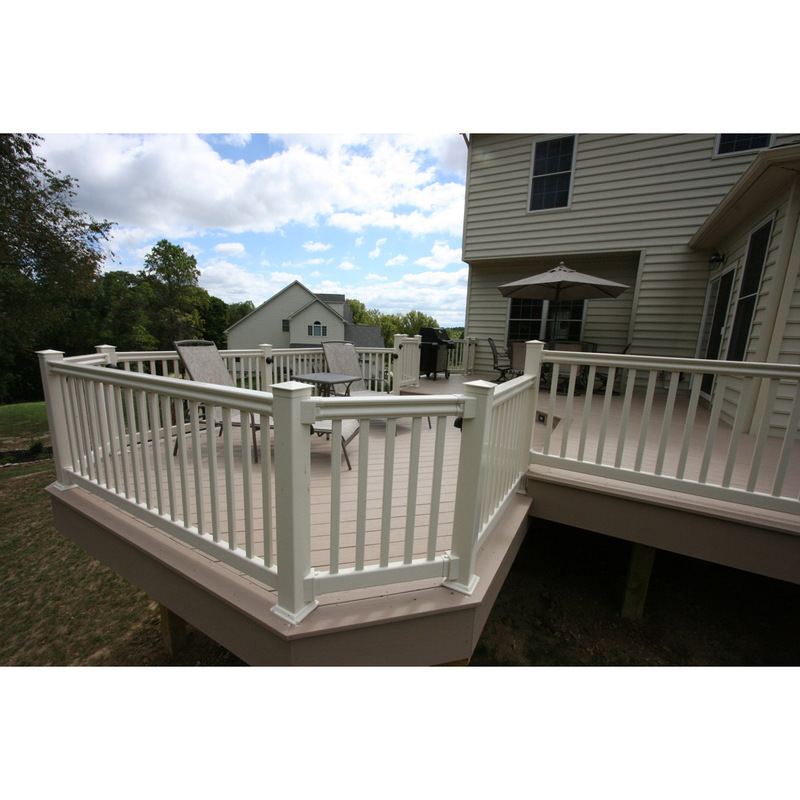 Superior Plastic Products, LLC has been designing vinyl products for over 20 years and committed to develop innovative products that are not only built to last, but are also easily installed and maintenance free. 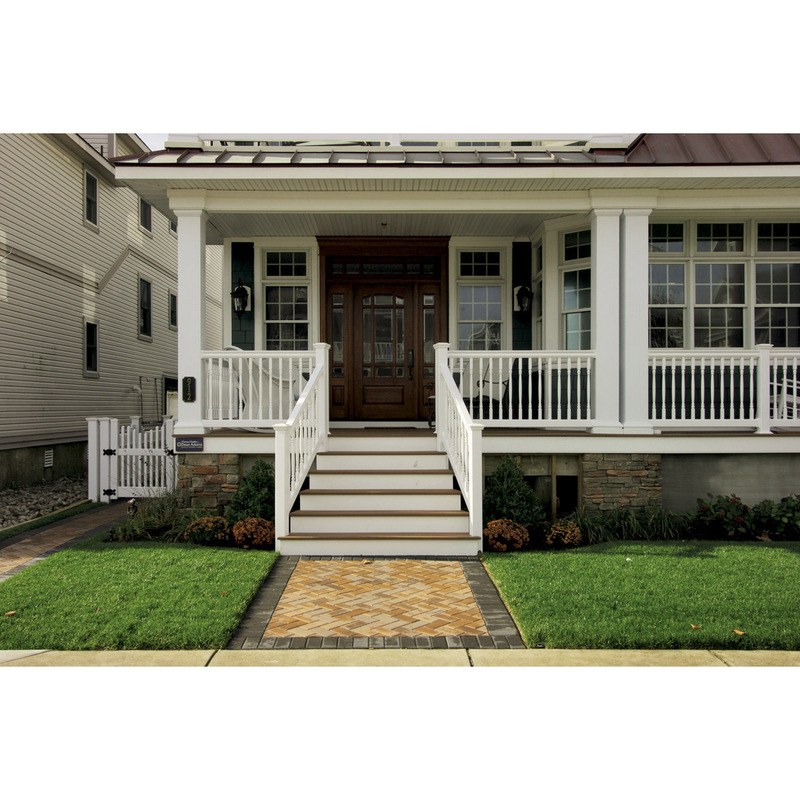 All materials are constructed with exact tolerances that provide not only a great fit but a quality look as well. Aluminum channels are used for rail reinforcements and hidden stainless screws are used for assembly. 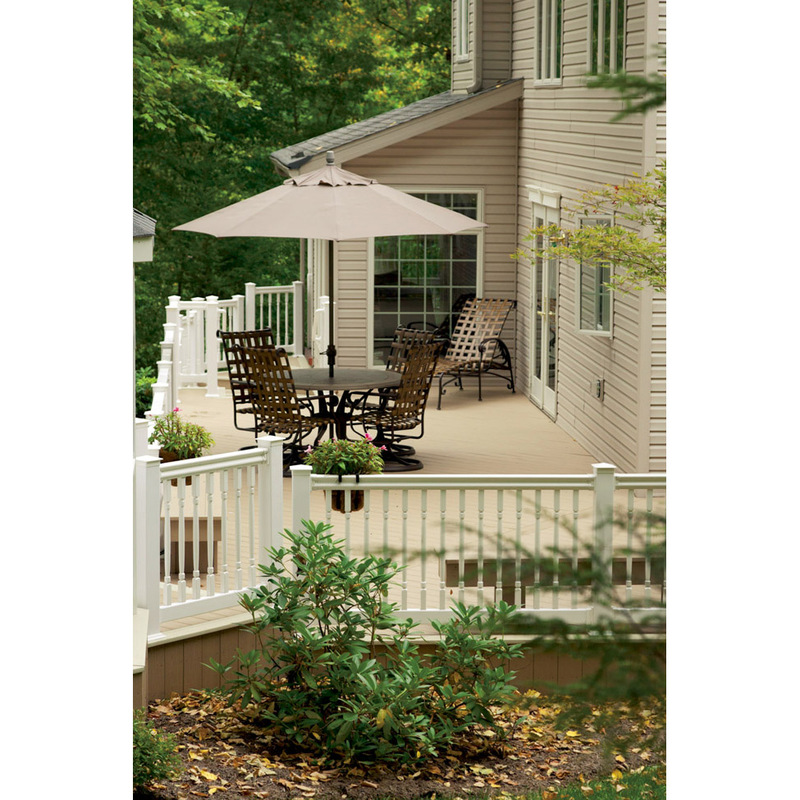 Six styles are offered with matching posts and pickets. 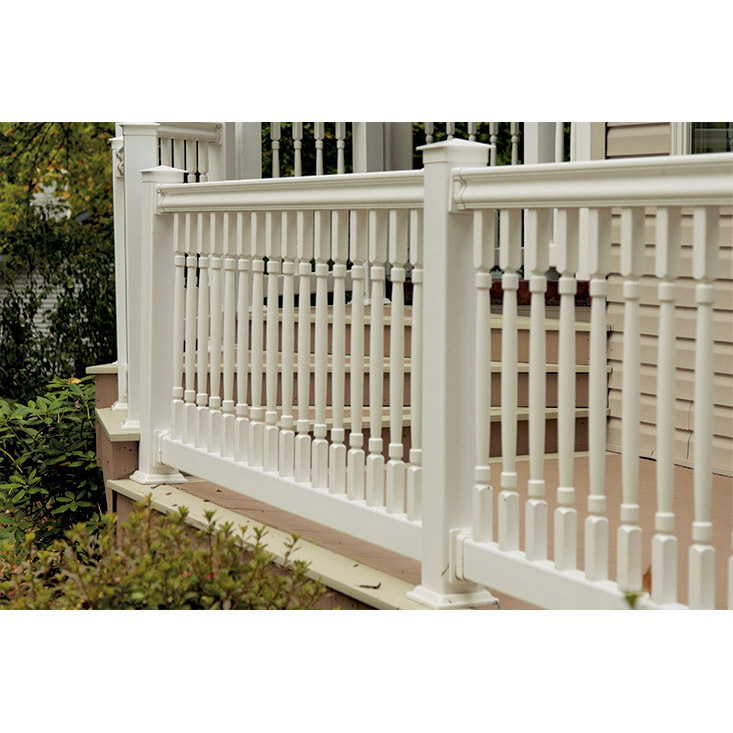 Matching structural porch posts are also available. 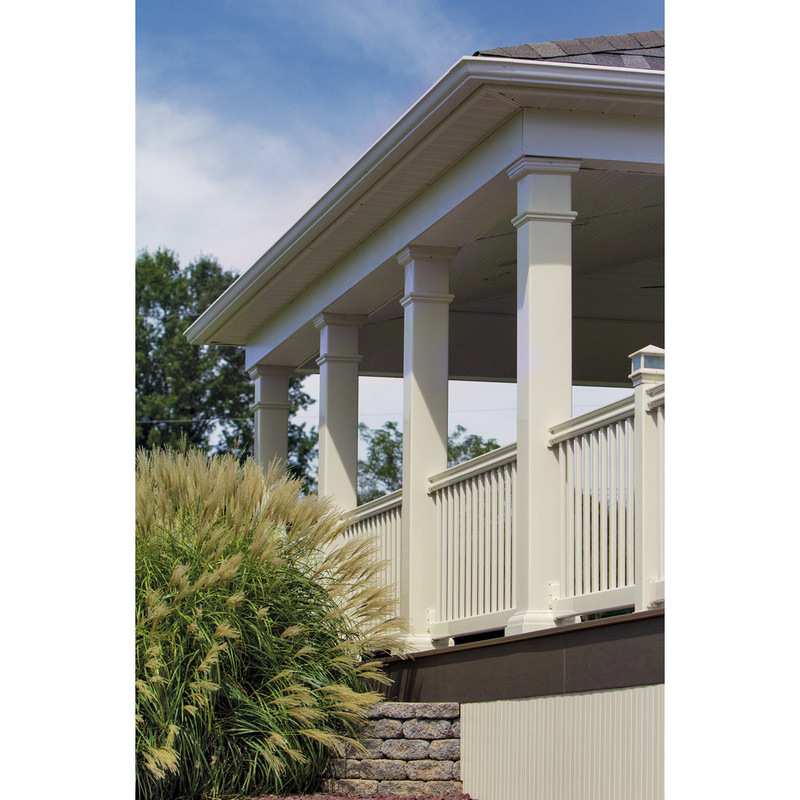 Mix or match pickets, newel posts, and porch posts for a unique design. Superior Systems® are backed by a Lifetime Warranty. 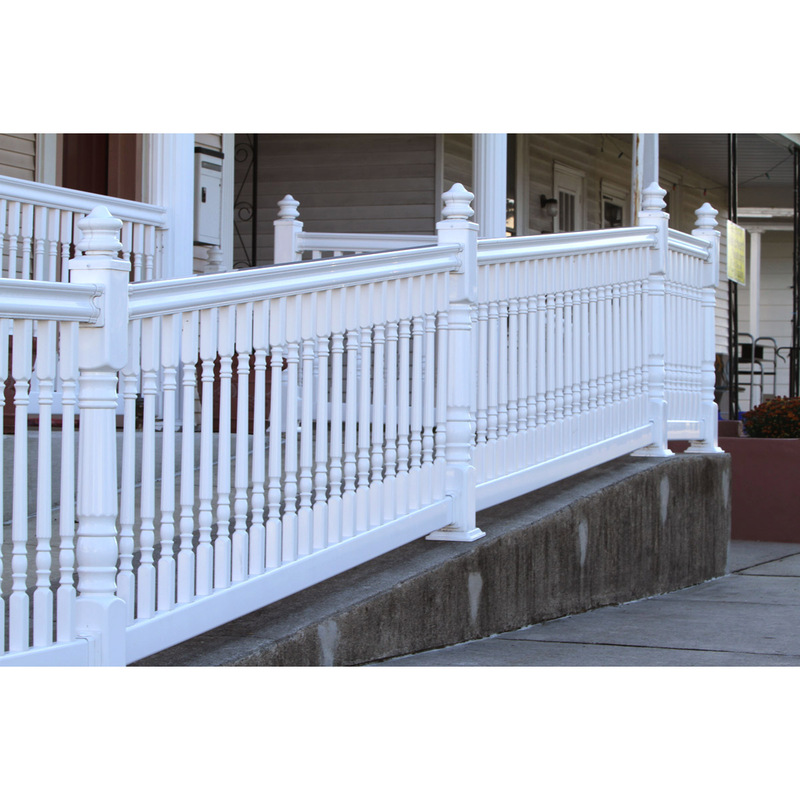 Use this railing system for residential or commercial applications. Meets all national code requirements when properly installed. The easiest way to figure the materials needed is to fax or email a drawing to us and let us figure the materials for you. This is the safest way to determine the quantities for sections, posts, and other accessories. Just make a simple drawing noting the lengths or each side and marking any existing structure clearly. Note somewhere in your message the style, height, and color that you like. What is the warranty, and what does it cover? 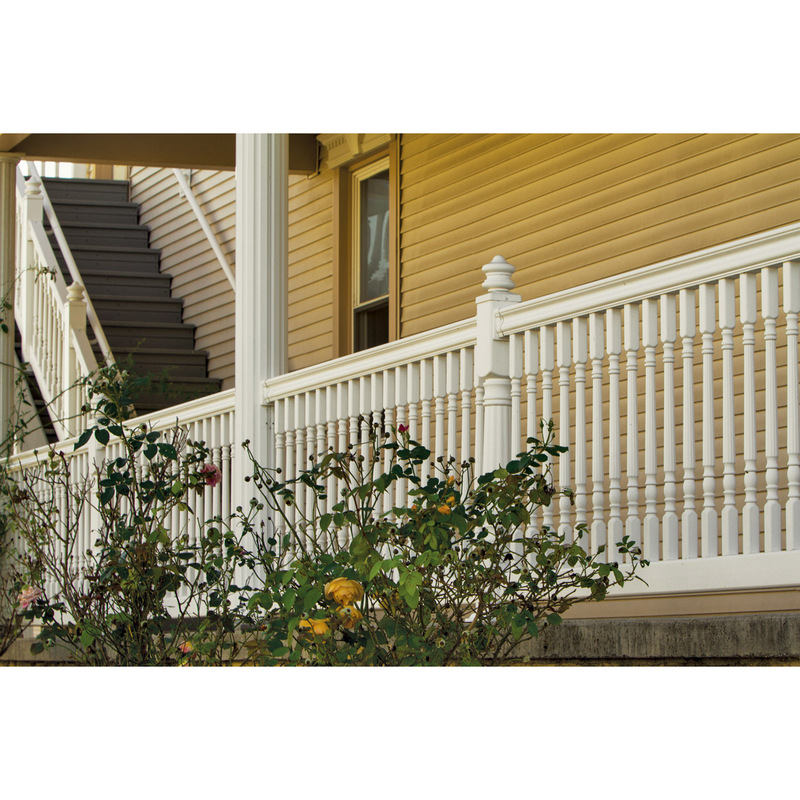 Superior Plastic Products warrants their vinyl railing for a lifetime against defects in workmanship or materials. Certain restrictions apply. What is Superior Plastic Products' product made of? 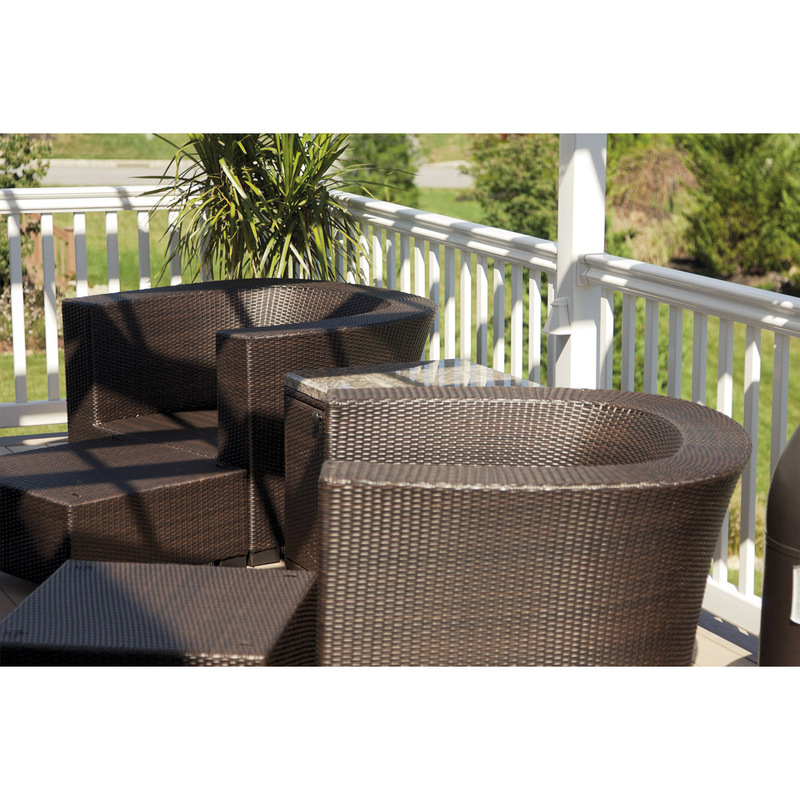 Superior Plastic Products product is made from vinyl extruded with different layers to make the product strong and resistant to abuse and the sun's rays. No. Superior Plastic Products vinyl products contain titanium dioxide (TI02), which prevents ultraviolet degradation. 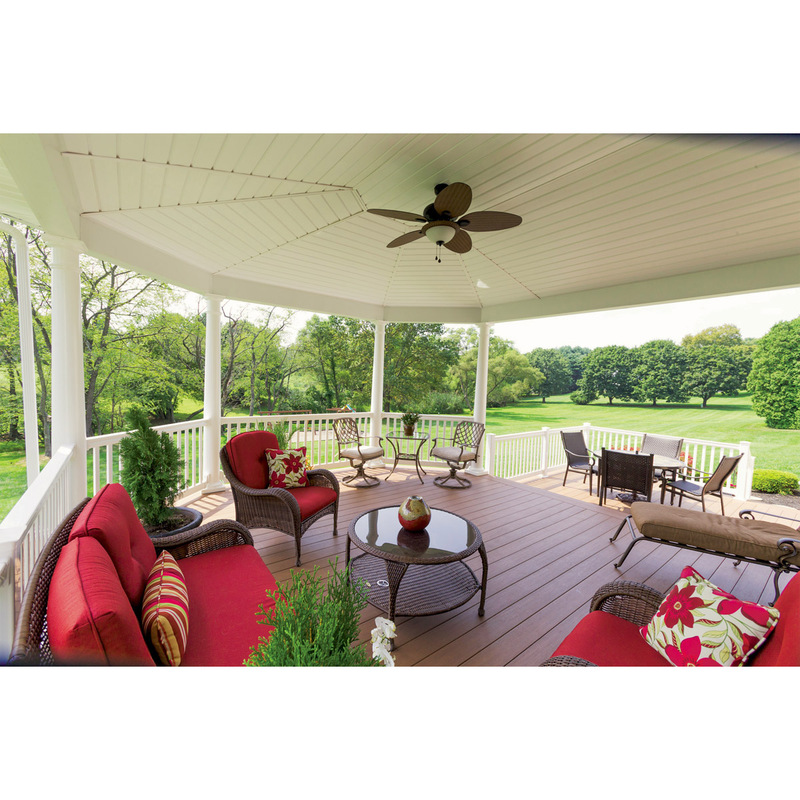 All Superior Plastic Products are warranted for the lifetime of the original consumer purchaser. Will the railing break easily when it gets hot or cold? As with most plastics, vinyl will become less flexible in colder weather conditions. This will not cause a problem under normal circumstances. Avoid striking the product hard when it is extremely cold. 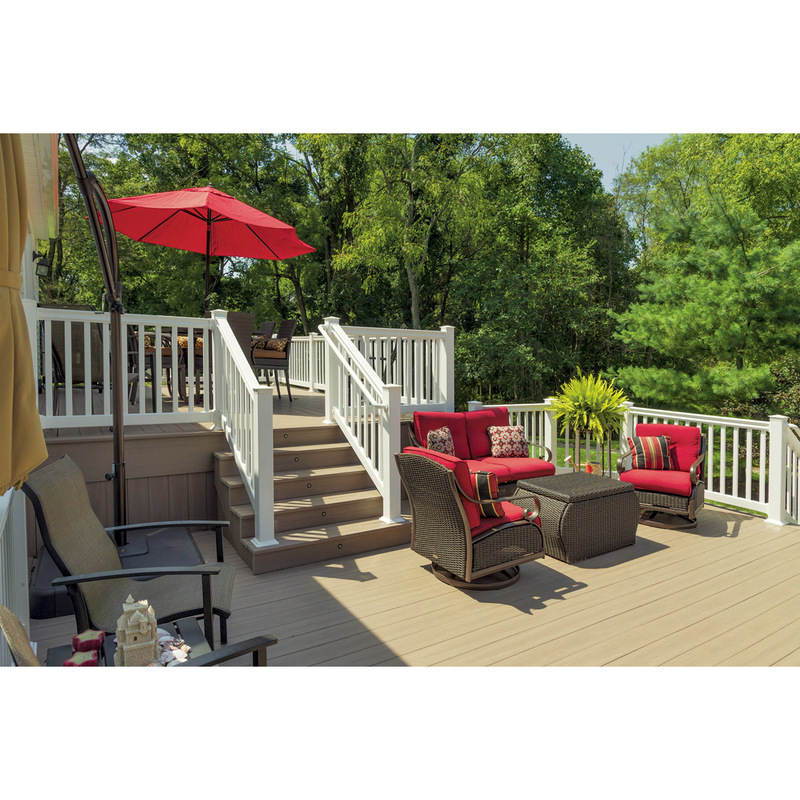 Do railing sections ship assembled? No, normally the railing sections are shipped boxed and unassembled. Is vinyl railing difficult to install? Vinyl railing is easy to work with. Sections can be cut down easily with common tools. Installation manuals are available online. If you are handy with tools and can handle moderate construction projects you can probably install the railing yourself. Look over the installation manual, if you're not up to doing the job yourself, you would be better off hiring a fence/railing company locally to install it. The Superior Systems railing has been load tested and passed the requirements for railing by the International Building Code and the Uniform Building Code. Local codes may differ in your area. This information is provided by the manufacturer and any questions concerning building codes should be directed to Superior Plastic Products. Washing with a mild soap periodically will keep your Superior Systems railing looking like new. In extreme cases, the product may be waxed to further enhance it's appearance. Can I paint my railing to match my house? Absolutely not! Painting vinyl railing goes against the whole idea of having a low maintenance product. Painting your product will terminate the warranty immediately. Can vinyl railing be installed to form an arc or radius? 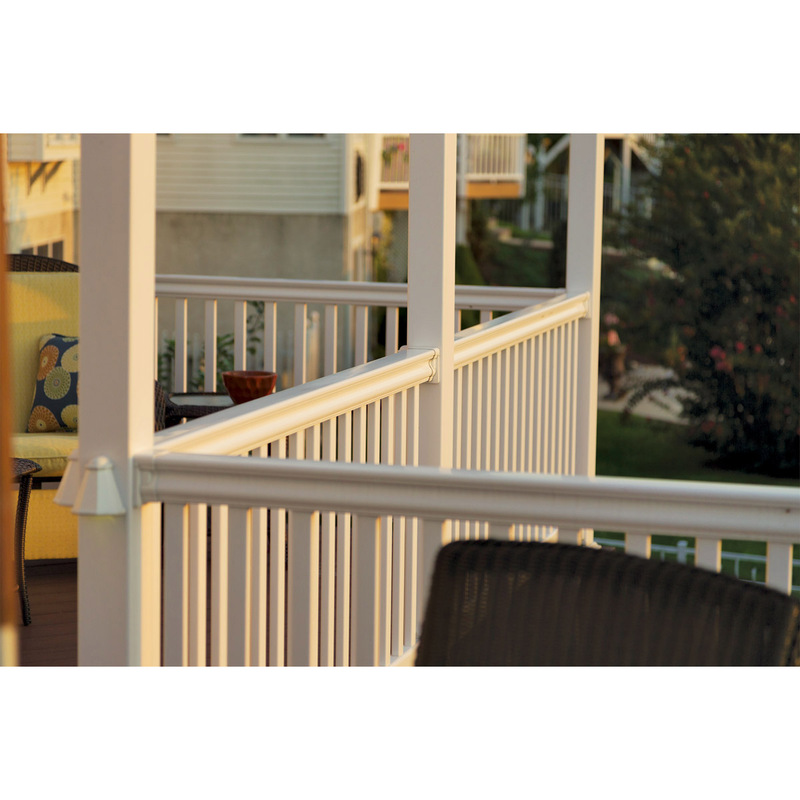 Vinyl railing can be installed in an arc or radius by using the angle brackets available in 45 or 22-1/2 degree styles. 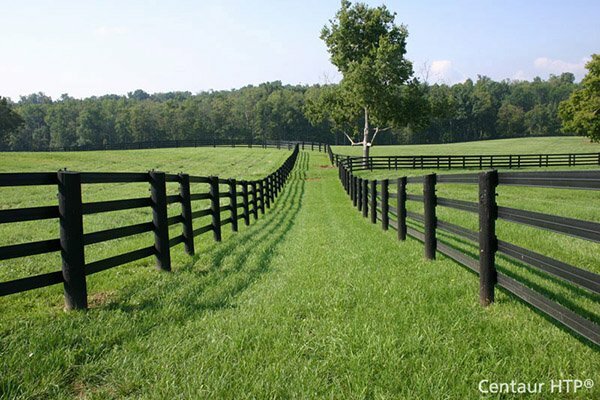 Typically sections are cut and more line posts are ordered to achieve the desired effect. 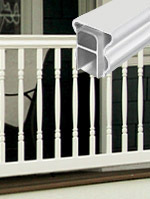 What are the component choices available in the Superior Systems' railing? Choices that need to be made when considering vinyl railing is first, the surface that the railing is being mounted on. The installation instructions can give you more information on this subject. 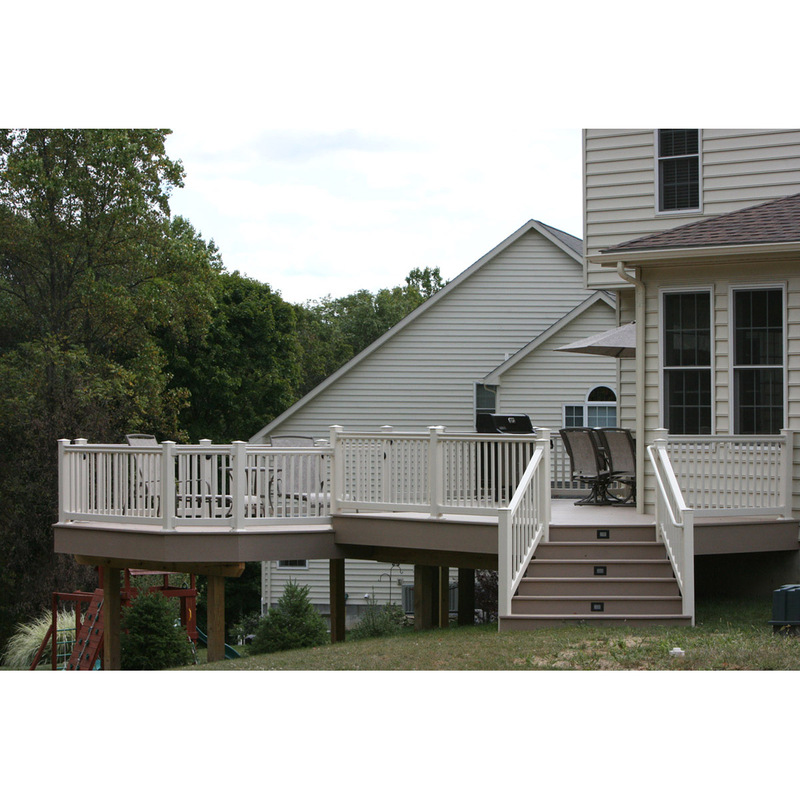 The type of mounting supports will vary depending where you are installing your railing. The final choice to be made is the post cap type. Post caps are sold individually. Many styles are available. What is the Superior Systems' bracketed system? The Superior bracketed system consists of true 4"x4" posts that slide over structural aluminum supports. The aluminum supports are fastened to an adjustable base plate. 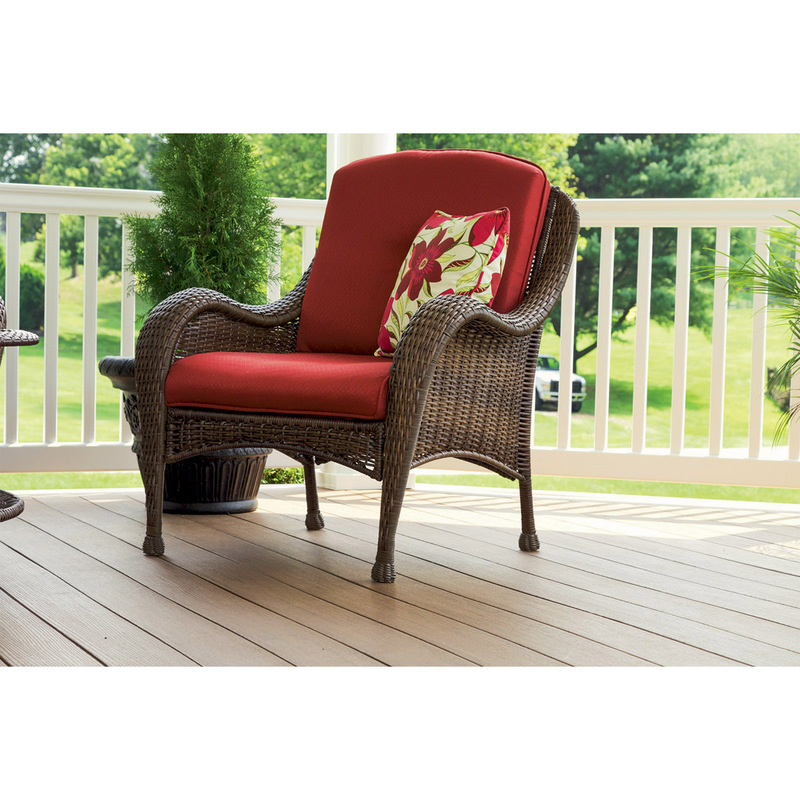 The base plate is fastened to the deck or porch floor with either screws or concrete fasteners, not provided. Brackets are available in flat, stair, 45 degree, 22-1/2 degree, and column styles. Extremely sturdy vinyl brackets come complete with self-tapping screws that attach to the post through the aluminum support providing a completely stable connection. The rails have internal aluminum supports also. Brackets are included with boxed flat and stair sections. Specialty brackets purchased separately. How do I go from a flat section to a stair section? To go from a flat section to a stair section is only a matter of using the proper brackets. The flat section will install to the transition post with a flat bracket where the stair section will use a stair bracket. 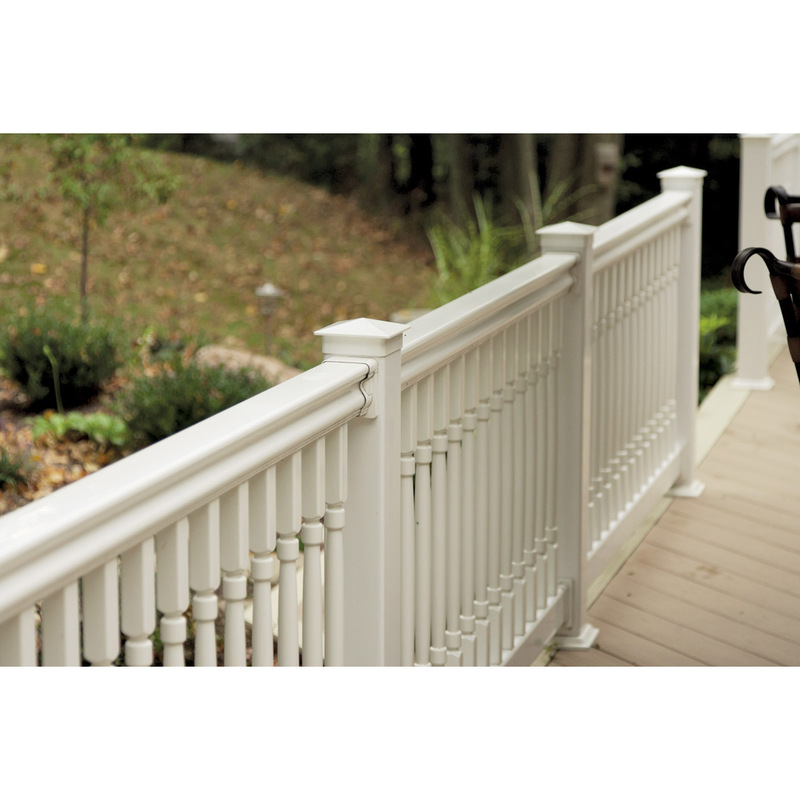 Is vinyl railing more expensive than wood? 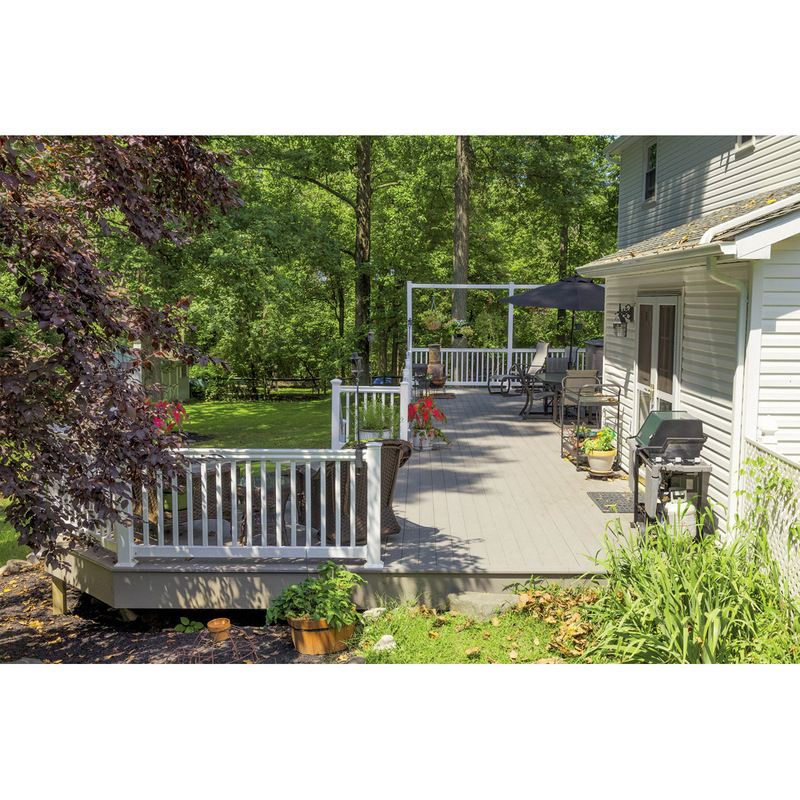 As an initial investment, vinyl railing costs more than wood railing. The difference in the two products is the wood requires a lot of maintenance and is subject to warping, splintering, fading, and painting or staining on a yearly basis. 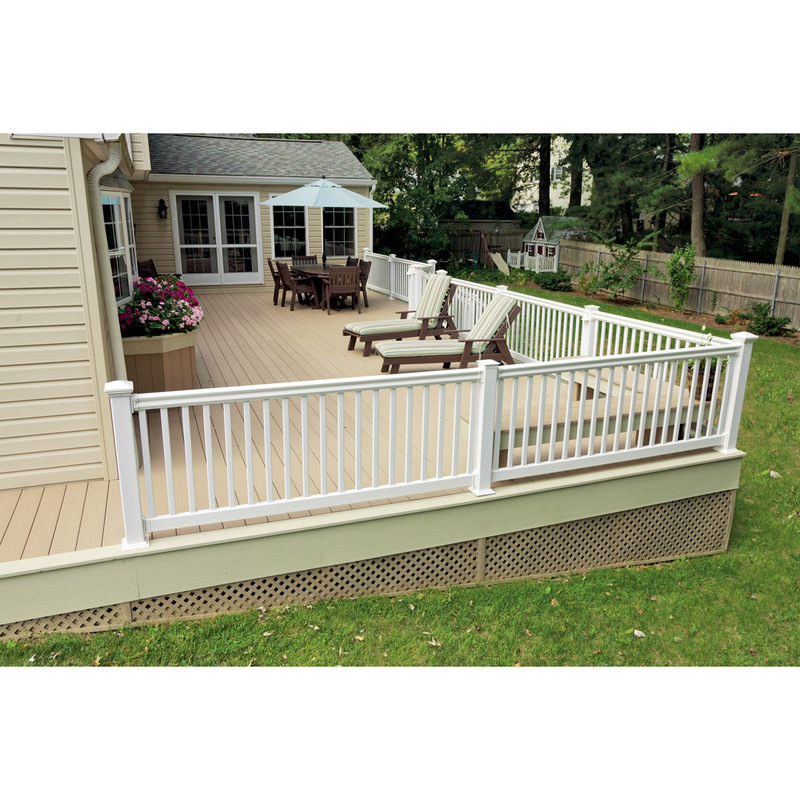 Vinyl railing becomes a better choice with it's low maintenance and durability over time. What are boxed sections and are all heights and colors available this way? Boxed sections include a railing section and all four brackets needed to mount the section. Boxed sections are available for flat or step applications. Both 3' and 3-1/2' sizes come in boxed sections. All colors are available in boxed sections.